My first attempt at using any form of hotlight. Hopefully it goes over well. I don't expect a huge finish out of this, but hopefully it will do better than other ones I've had! Combination of light and markings on the cat work very well in this picture. That and the BW lend an unexpected gravitas to the cat portrait. 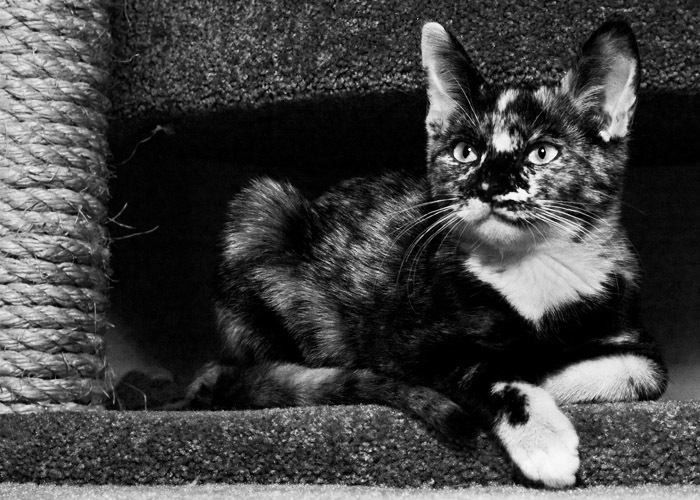 Lovely markings on the cat and a great selection of textures that have been brought out nicely by the B&W. Proudly hosted by Sargasso Networks. Current Server Time: 04/19/2019 04:18:00 PM EDT.